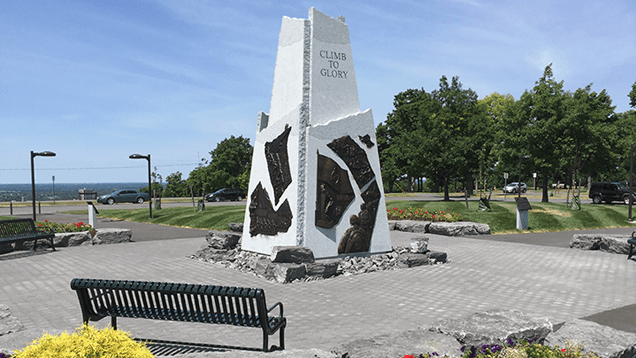 Completed in July 2016 to honor the sacrifice and service of the Soldiers of the 10th Mountain Division, their family members and the Fort Drum Civilian Workforce. View the Monument in real-time through the Live Webcam. Have a look at this beautiful landmark, events hosted onsite, and the local weather conditions live. 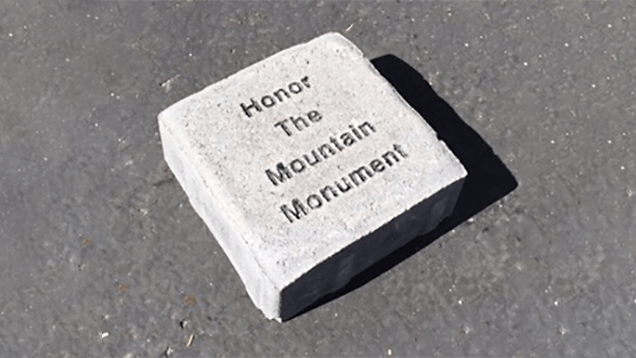 Mountain Monument through the Facebook Page. Like us on Facebook Today! 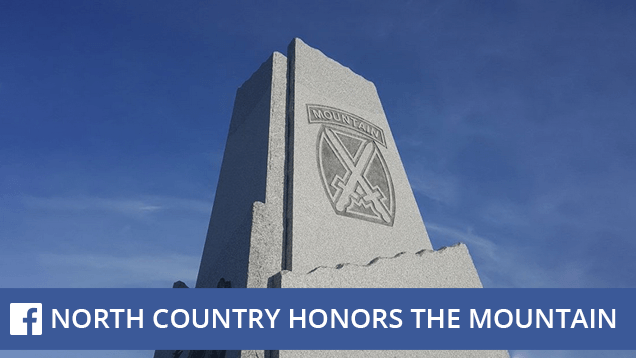 The North Country Honors the Mountain monument was designed, built and unveiled on July 1, 2016 by the North Country community as an enduring statement of the community’s gratitude for the sacrifice and service of the 10th Mountain Division’s Soldiers, their Family Members and the Fort Drum Civilian Work Force. Since its reactivation at Fort Drum in 1985, the 10th Mountain Division has been the most deployed unit in the US Army. The monument stands as lasting tribute to the Division’s history and legacy for generations to come. The Honor the Mountain Monument was built in Tower Square, the center-piece of historic and beautiful Thompson Park, a Fredrick Olmstead designed park, in Watertown, NY. It is an important addition to the community and a visible reminder of the unique relationship the North Country community have with our military neighbors at Fort Drum. View the Monument in real-time through the Live Webcam. 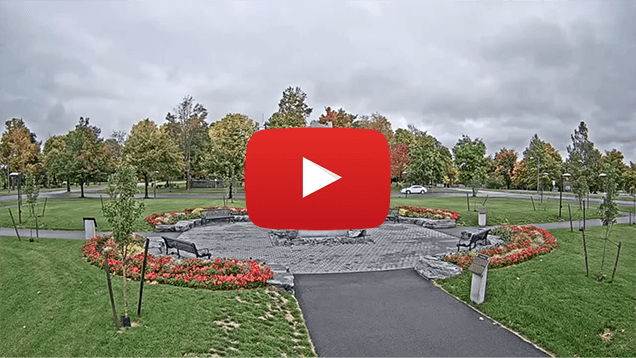 See this beautiful landmark, events hosted onsite, and the local weather conditions live.